In 2011, I took an assignment in Ghana with a Ghanaian organization – the Ghana Institute of Linguistics, Literacy and Bible Translation (GILLBT). I started working with Ghanaian Christians committed to seeing that everyone in Ghana has the Bible in their language. They are also very attached to their country. They are nationalists. So are their churches. Church leaders address national issues and say that the church is important to national development. It was our responsibility to learn from missionaries and take on the work ourselves. GILLBT’s first translators were missionaries from Europe and North America. My colleague was saying that it was right and good that missionaries came, but that Ghanaians should eventually take responsibility. 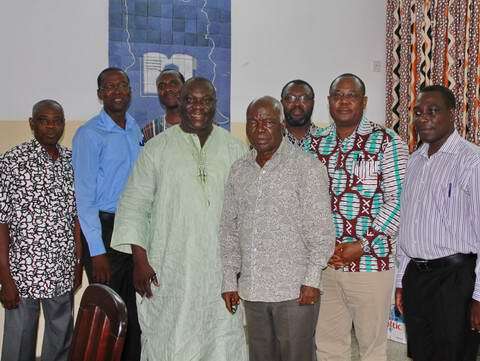 From other conversations, I have learned that it is a matter of nationalistic pride that Ghanaian churches take financial and other responsibility for Christian witness and ministry in Ghana. When Ghanaian Christians learn that most of the money for translation in Ghana comes from elsewhere, their immediate reaction is to want to change that – to have Ghanaians “take on the work” in all its aspects. Interestingly, the Ghanaian Christian nationalism I have seen is not exclusionary – it does not exclude others. Missionaries and outside money are still welcome, but on the condition that they don’t undermine Ghanaian responsibility. I like this brand of “take responsibility” nationalism. It feels empowered, bold, welcoming and full of faith.